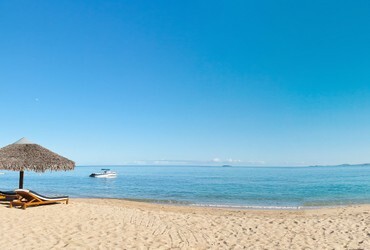 Klong Dao is the closest beach to Ban Saladan. 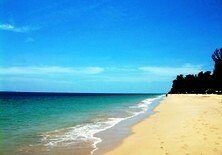 This beach is Ko Lanta’s most popular family beach with the island’s highest concentration of resorts and hotels. The 3 km stretch of sand was the first beach on the island to welcome tourists but is still not crowded even in high season. Read more about Klong Dao Beach. Klong Tob is a small area near the west end of Klong Nin Beach. This area is ideal for people who want privacy but still want to be close to an assortment of beaches and restaurants. Hotels and resorts in the Klong Tob area are very close to Klong Nin beach. If you’re looking for a quiet, low-key holiday, you’ll love the far south end of the island. Visitors who venture this far down the island are rewarded by a series of beautiful little beaches with only a few well-spaced resorts, all surrounded by natural forest and jungle. There is a great (non-challenging) hike up the creek to the waterfall at Klong Jark Beach, a few kilometres before you get to Ko Lanta’s most southern resort beach, Bamboo Bay. This bay has some mid-level resorts and a few inexpensive bungalow options. 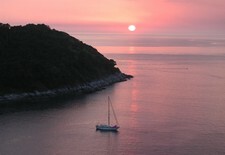 Continuing south, you will reach the Ko Lanta National Marine Park Headquarters, home of the Ko Lanta lighthouse. During high season, you can get to the far southern beaches quite easily, however, during green season it is best to ride in a 4-wheel drive. The road is less travelled, with not many hotel or resort options, so there are far fewer people and you probably won’t want to leave. 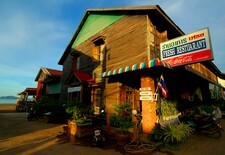 Koh Lanta is very close to several incredible, tropical islands. One island’s worth exploring by day trip (but doesn’t have accommodations) is lovely Koh Rok. For those wanting an incredible, white sand beach experience we highly recommend Koh Muk and Koh Ngai, located in Trang Province, but still a short ferry ride from Koh Lanta. Use our Hotel Search box on the top left hand of this page to make reservations.